I figured it was time to post again, since it has been more than a full year since my last post. Ugh. I am a big blogging slacker. But although I am a blogging slacker, I have been extremely busy the last year. During the last year I designed and finished my unfinished basement into a bigger and nicer private practice. If you read my private practice post previously (say that three times fast) you noticed that I did therapy out of 2 bedrooms in my home. It worked for the time being, but as my family grew I needed more space to work out of. Now I run the practice out of my newly finished basement, which has its own walk out entrance, parking, bathroom, waiting area, etc, etc. It is separated from my family’s living area and makes it easy for my husband or kids to be home while I deliver therapy without bothering me or my clients. It is a blessing. I have also been busy growing a new baby. And on January 20th we welcomed our third little boy into our family. I was able to take some much needed time off to spend with my little newborn and just recently went back to work. He is the sweetest baby and I am so lucky to be his mom. 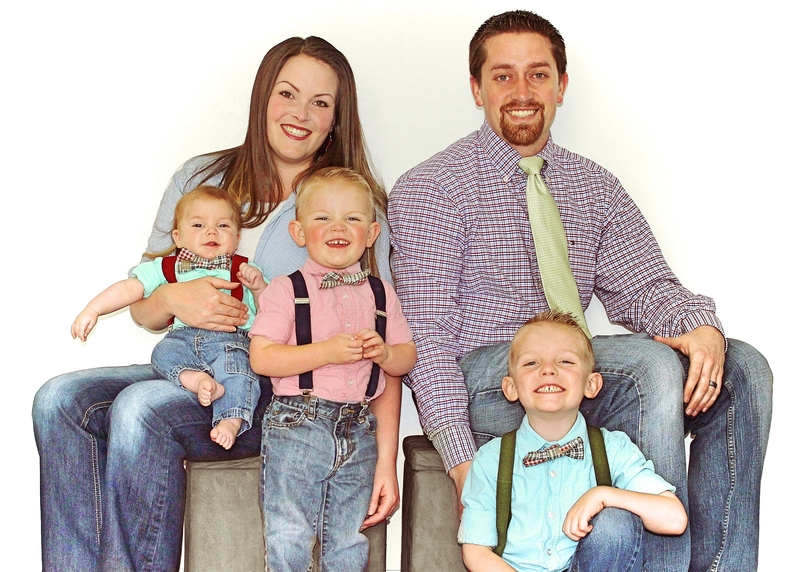 Check out my sweet family of 5. 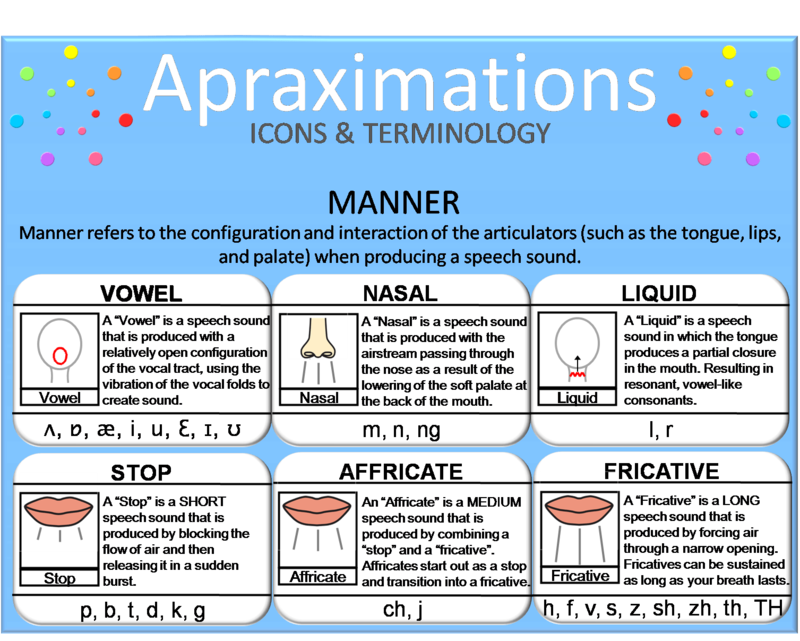 The name of the product, Apraximations, is a combination of the name – Apraxia of Speech, and the word “approximation” – meaning a “word approximation” – or simplified version of a specific word (i.e. “ba” for the word “ball”). 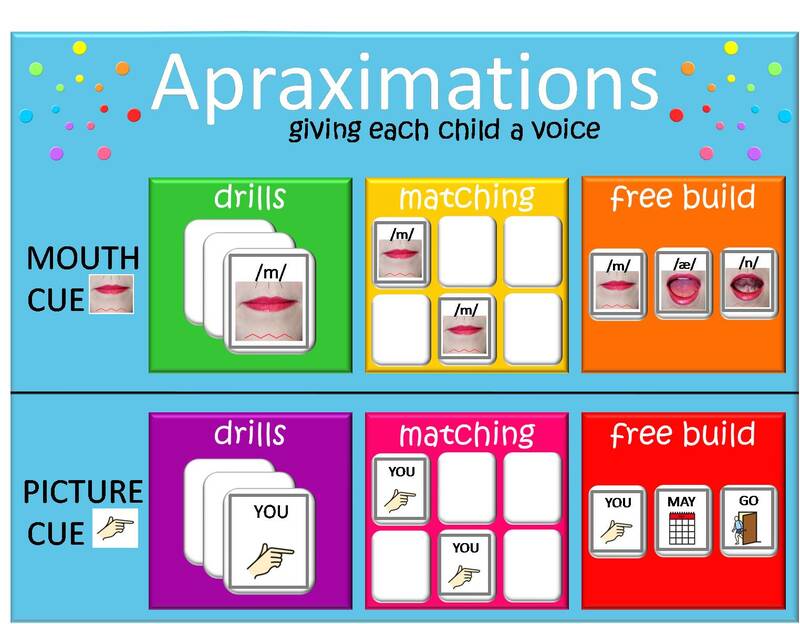 Therefore, this product is meant to offer a systematic progression of speech targets (from word approximations to true words and sentences) for children suffering with any kind of speech impairment, but especially those who have Apraxia of Speech. 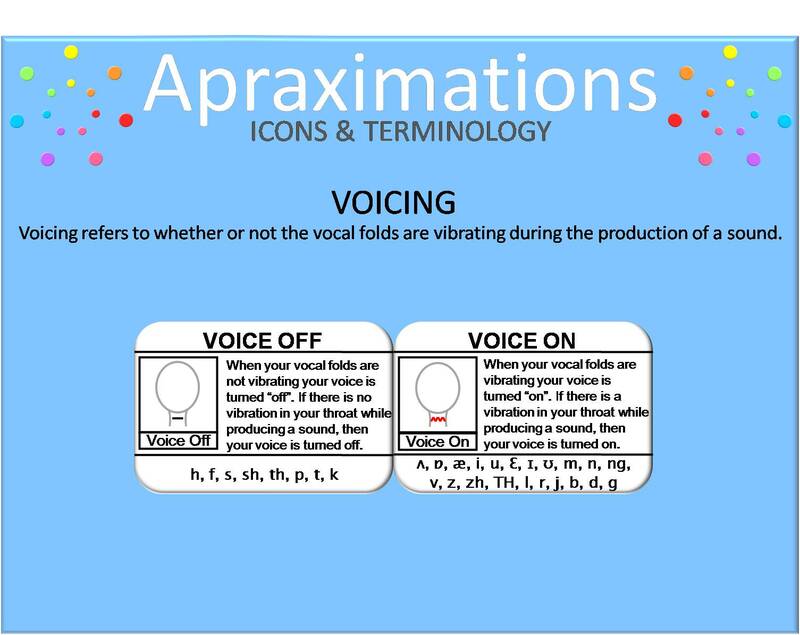 The Apraximations app consists of 2 main sections. The mouth cue section, and the picture cue section. Both sections of the app consist of a drill portion, a matching game, and a free build portion. 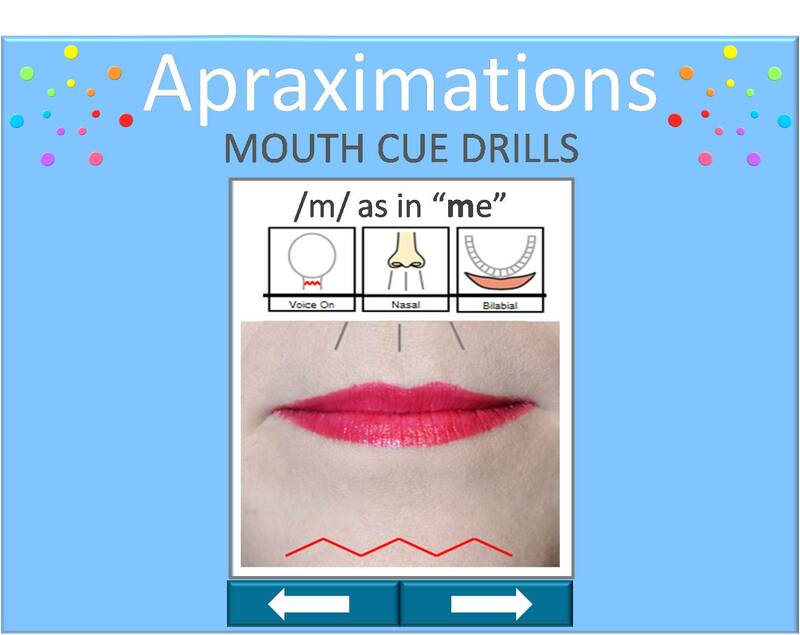 The Mouth Cue Drills section of the app uses real life mouth pictures as visual cues for each phoneme. If you have any questions about the icons and symbols used, you simply click on the question mark in the top right hand of the screen (it isn’t shown in this picture – but it will be on the final app) which will take you to a more in depth description of each characteristic – as seen in the following 3 pictures. 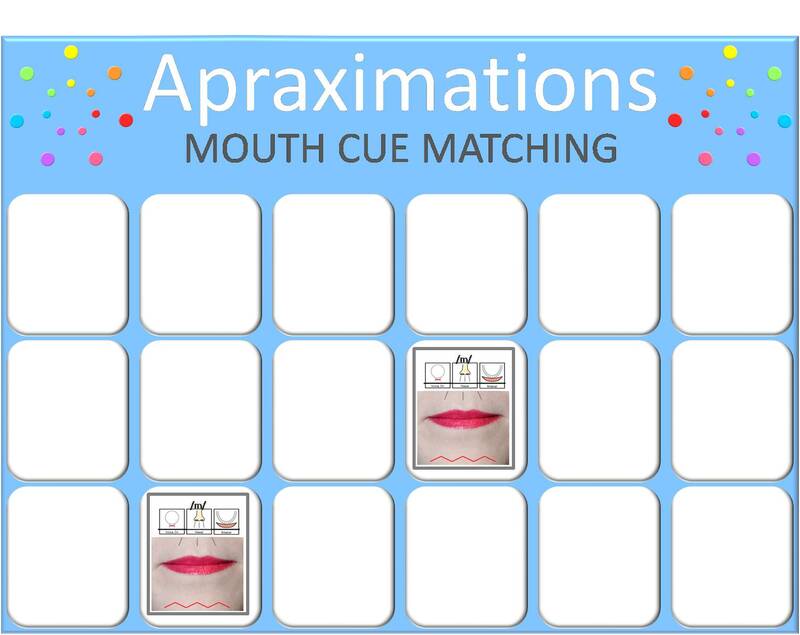 In the Mouth Cues Matching portion of the app you are able to practice the production of sounds while playing a game. In the Mouth Cues Free Build portion of the app you are able to create any sound, syllable, or word (up to 6 characters long) to practice. The possibilities are endless in this portion of the app. 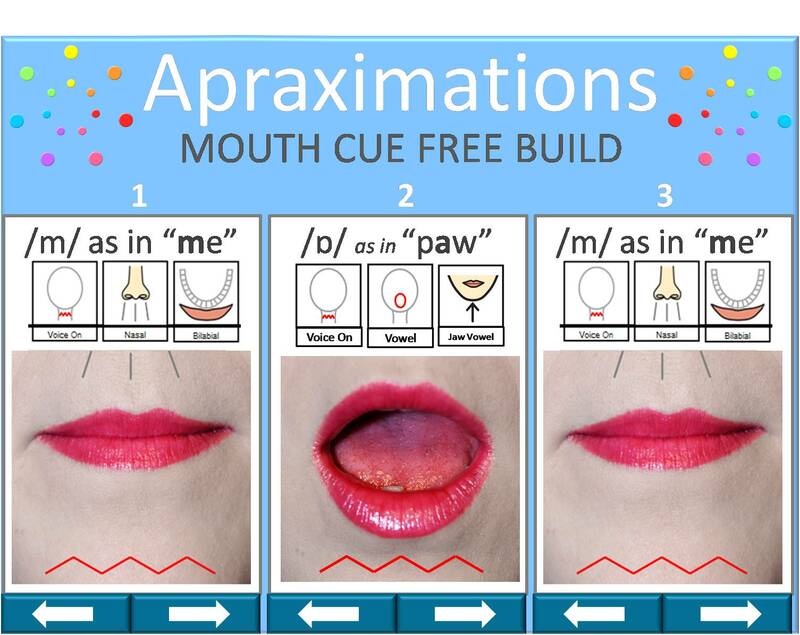 You can put together the mouth cues to build any target for any client. 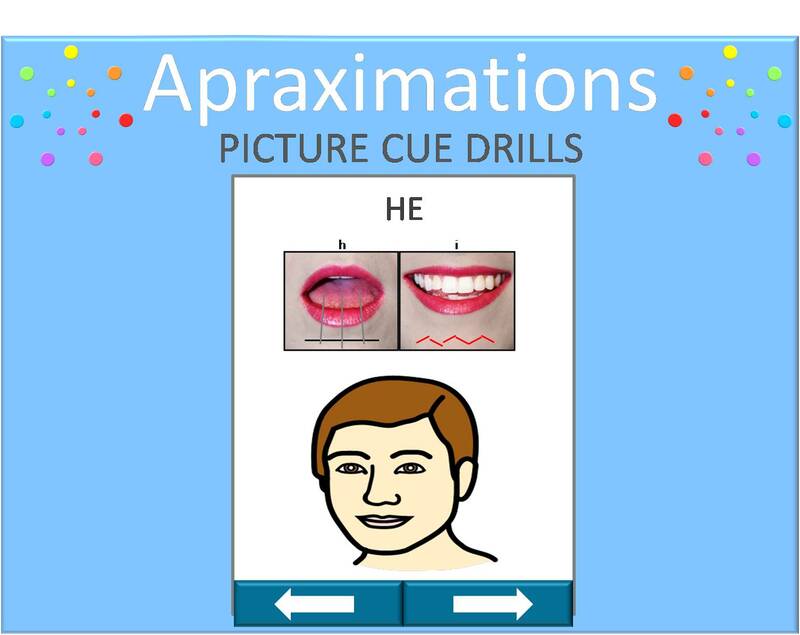 The Picture Cue portion of the app offers the same choices as the Mouth Cue portion of the app, only it uses picture cues instead of mouth cues. Again – if you have any questions about the icons and symbols used, you simply click on the question mark in the top right hand of the screen (it isn’t shown in this picture – but it will be on the final app) which will take you to a more in depth description of each characteristic. 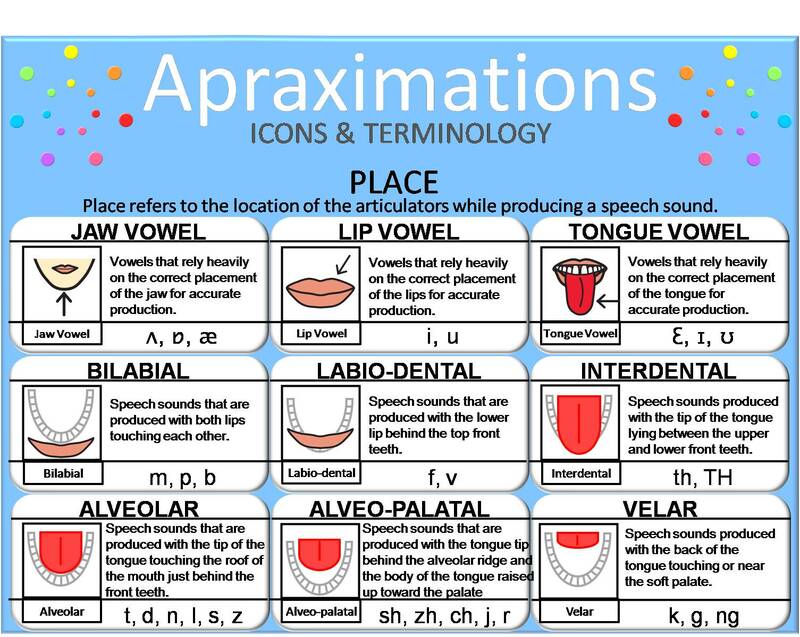 Syllable Shapes: Vowel-Vowel, Vowel-Vowel-Vowel, Consonant-Vowel, Consonant-Vowel-Vowel, Vowel-Consonant, Vowel-Vowel-Consonant. 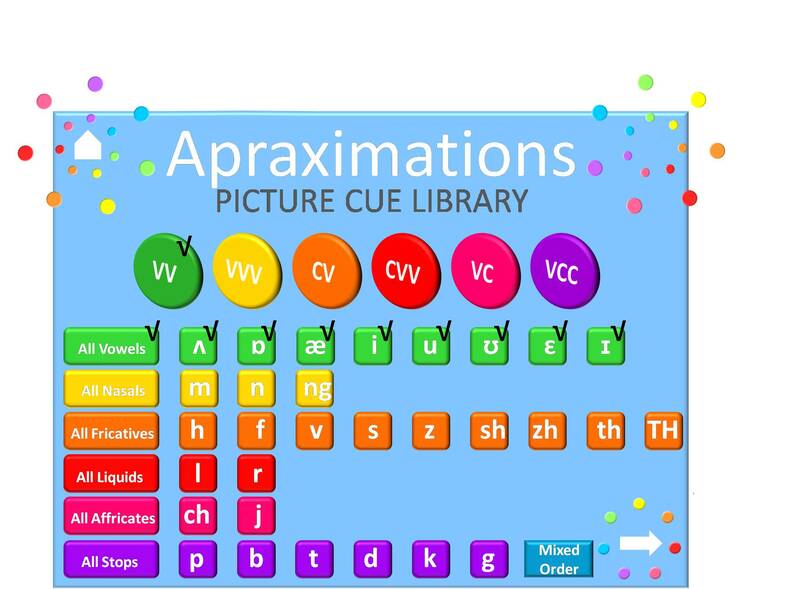 In the Picture Cues Matching portion of the app you are able to practice the production of words while playing a game. 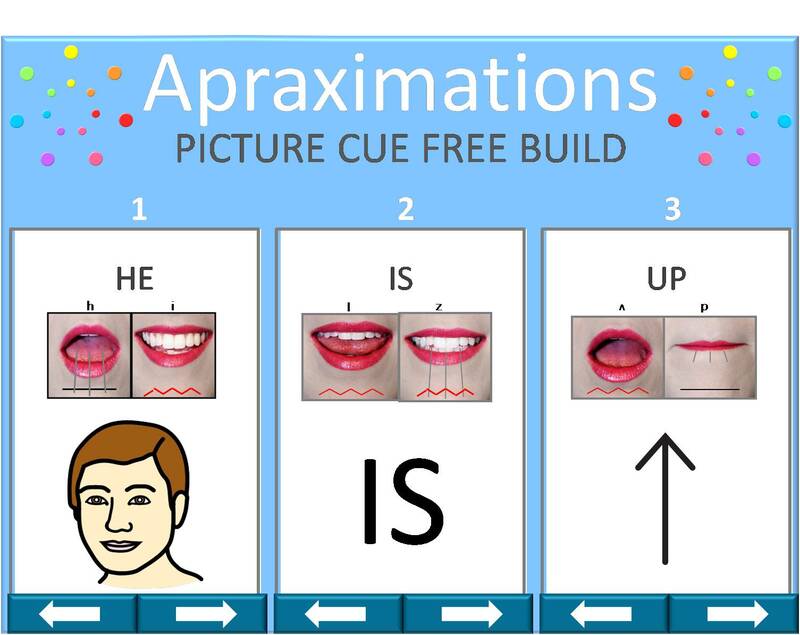 In the Picture Cues Free Build portion of the app you are able to create any word, phrase, or sentence (up to 6 characters long) to practice. The possibilities are endless in this portion of the app. You can put together the picture cues to build any target for any client. I am so excited to be able to release this app soon. So follow along so you can be sure to know as soon as it is released. And stay tuned for the sneak peek of my Tongue Thrust app. This app looks amazing! Can’t wait to give it a try when it is released! This does look fabulous! Do you know when it will be available? Oh my goodness! I can’t wait! Beyond excited about your approach to therapy! Thank you for sharing your knowledge and talents. 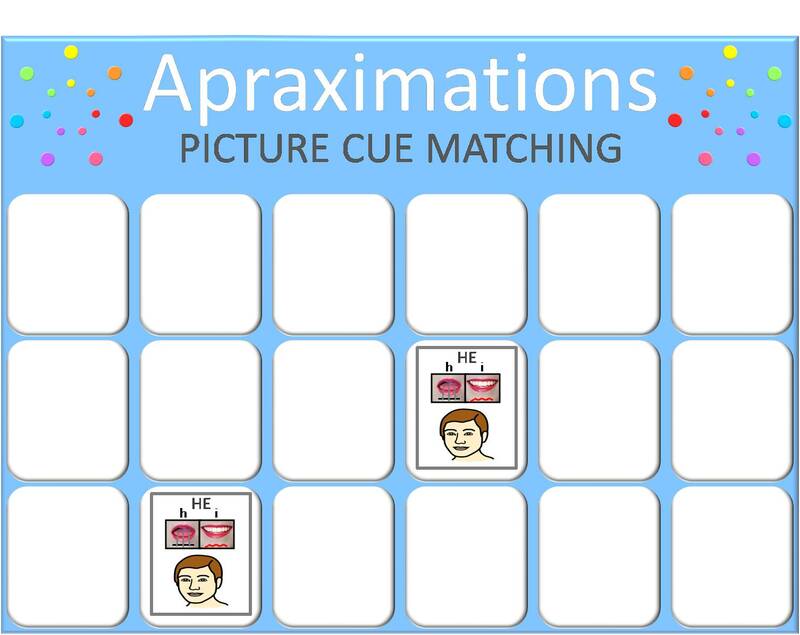 Soo looking forward to seeing it all come together in Appraximations! !